GJEPC: De Beers’ Foray to Underline Difference between Synthetic and Natural Diamonds. De Beers is adding new forays to its business. It is launching a synthetic diamond business, with the unveiling of a new fashion jewellery line in September, 2018. The fashion jewellery label is entitled Lightbox. Price points of Lightbox jewellery are lower than the prices of current lab grown diamond jewellery. Commenting on this communication received from De Beers, The Gem and Jewellery Export Promotion Council views that the synthetic diamonds line will deliver a definite sense of difference and categorization among consumers of real diamonds, about natural and synthetic diamonds. Call them synthetic or laboratory grown, these diamonds are separate from natural diamonds with no comparison. The worthiness of natural diamonds lies in being rare, naturally sourced and precious. In addition, a natural diamond not only is an expression of precious emotions, but also a luxury product with timeless appeal. It is expected that such aspects will position Real Natural Diamonds as Unique, Premium and Luxury. Meanwhile, De Beers is familiar with the technology of synthetic diamonds through its subsidiary – Element Six. Moreover, research and production of synthetic diamonds at Element Six is continuing since 40+ years. Above all, Lightbox lab-grown diamond jewellery will create an adequate positioning for synthetic diamonds as “non-precious accessories” – a small and distinct market. Brands like Swarovski have used the synthetic diamonds in non-precious jewellery and retailed them as a non-precious fashion piece. The Indian Diamond industry opines the demand, appeal and value of natural diamonds will remain unaffected. Natural diamonds have been the strength of the Indian industry. Ninety percent of the world’s diamonds today arrive in India for polishing and a recognizable value of precious jewellery is manufactured here. India stands as a key centre in the global landscape. It is strong and vibrant with very large players having deep capabilities and a global presence. 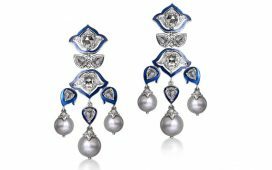 Leading jewellery retailers of the world source diamonds and jewellery from India, a noteworthy confidence. Synthetic diamonds exist since long; however, they have not impacted the industry. At present, the production of synthetics is around 2 percent of natural diamonds. The industry has taken upon it to adopt measures to prevent the risk of the dishonest mixing of synthetic diamonds with naturals. Protocols and processes are at work to mitigate the risk. The customers know of steps taken by the Indian Diamond trade to preserve customer and consumer confidence. The industry is on a very sound platform to capitalise on the growing disposable income across the world. The Indian industry has been sensitive towards generic diamond promotion. 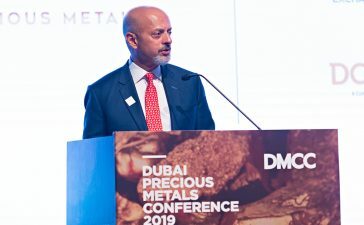 It believes diamond mining companies must invest additional money to promote diamonds, and expects that De Beers, Alrosa, Rio Tinto and other miners would continue to introduce resources into marketing natural diamonds.